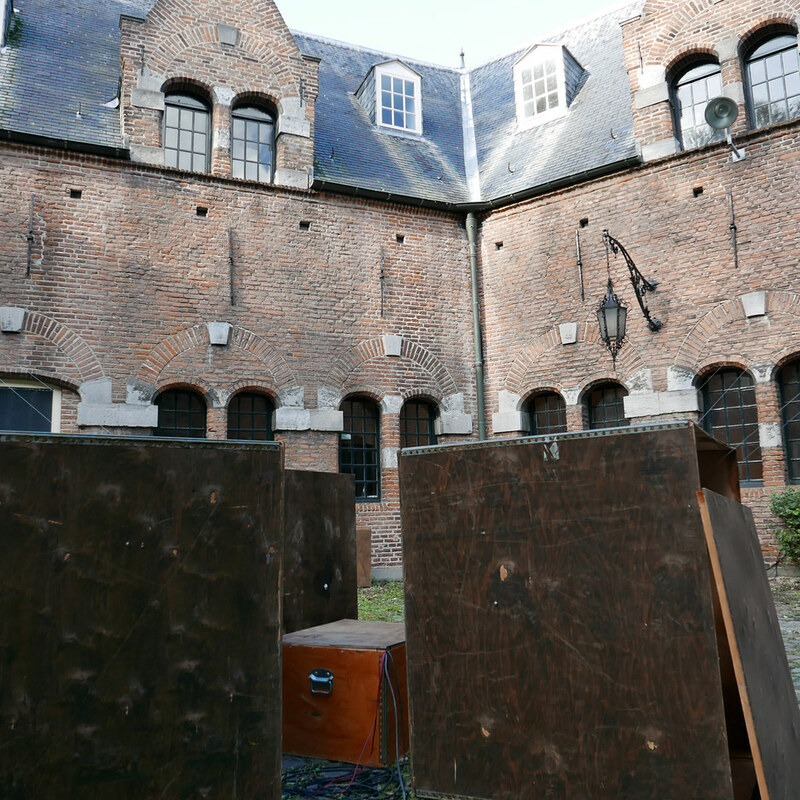 We created a site specific sound installation named Panasonic for a old military building. 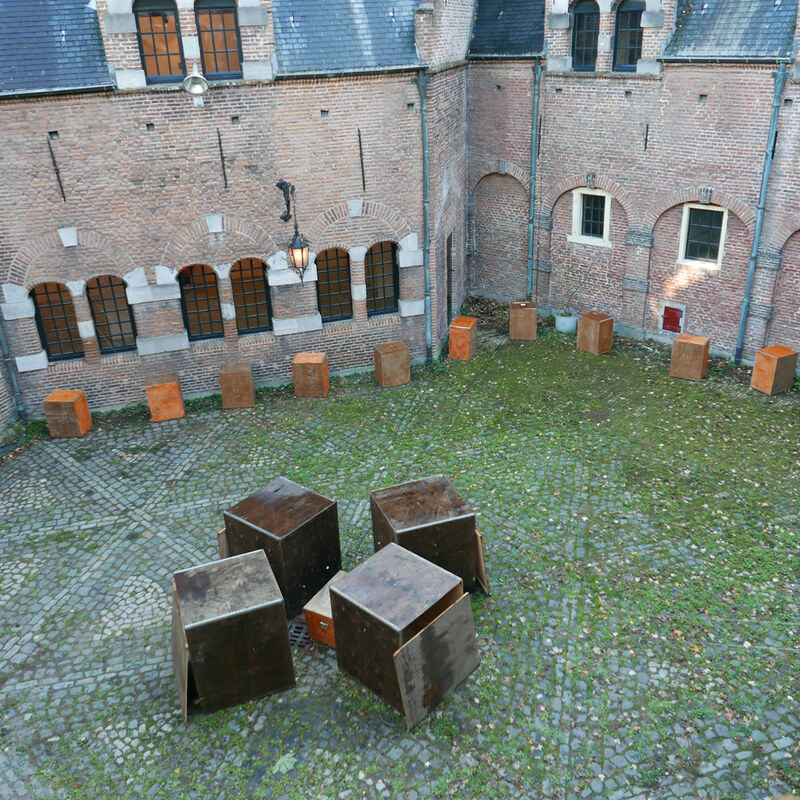 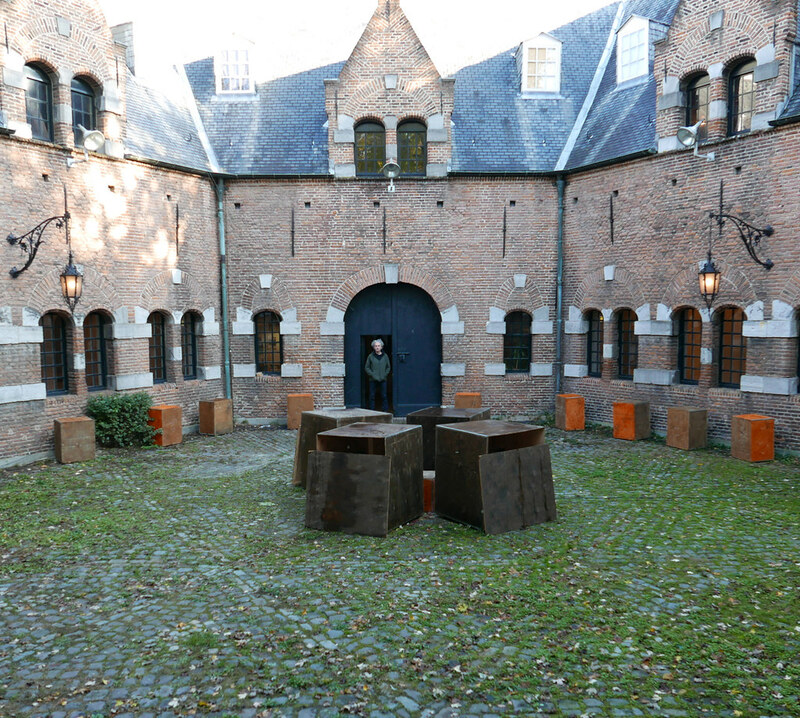 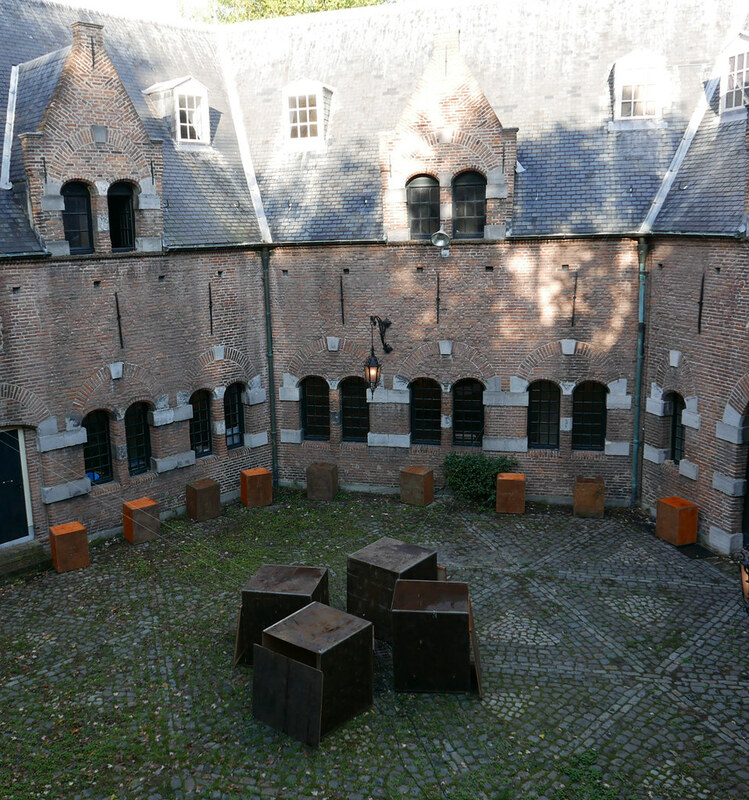 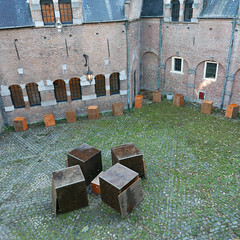 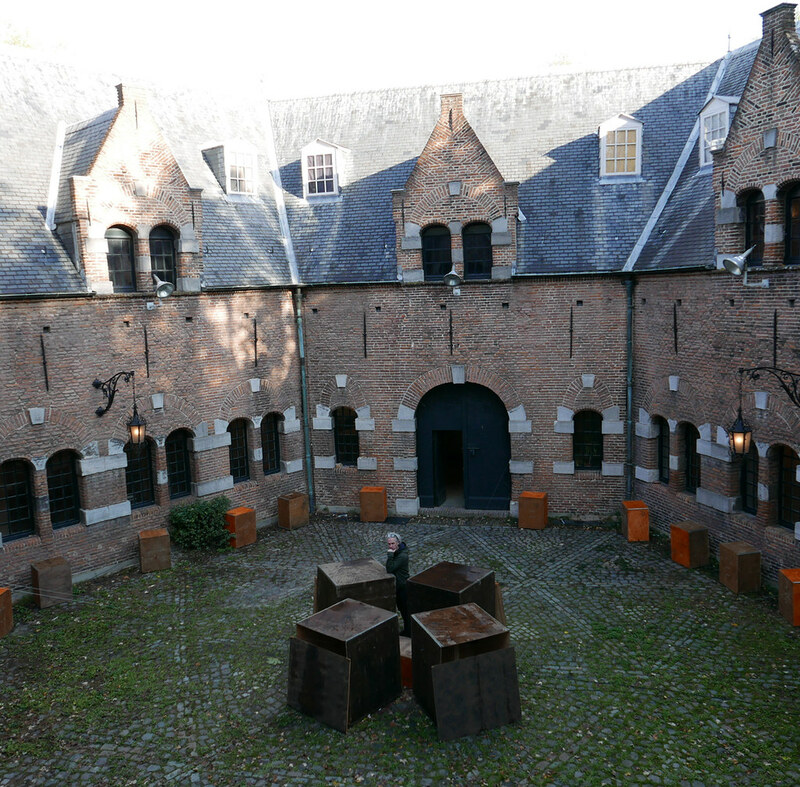 This in occasion of November Music festival, the sound art exhibition at Kruithuis a unique historical location. 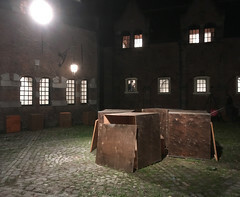 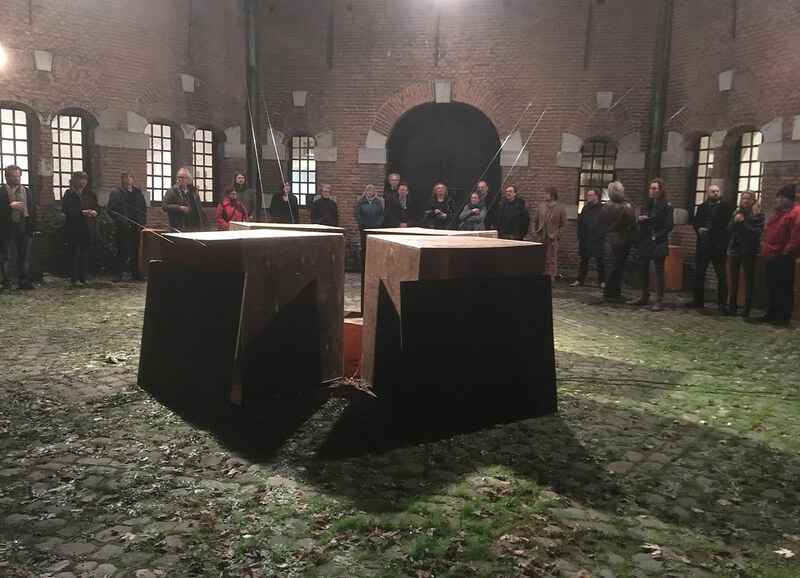 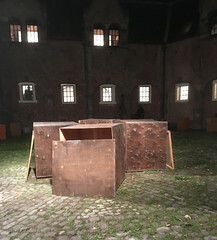 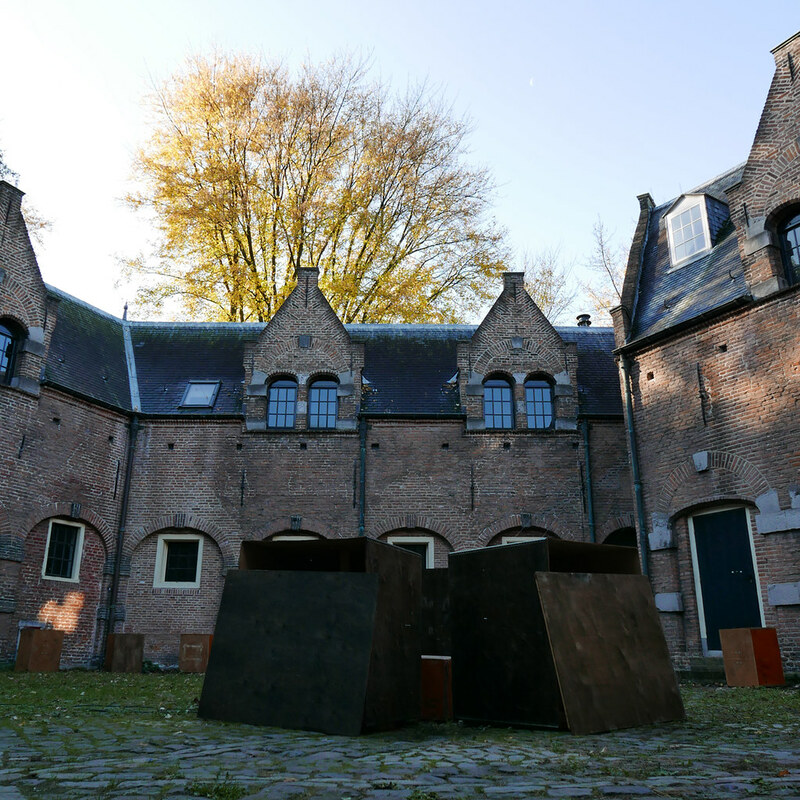 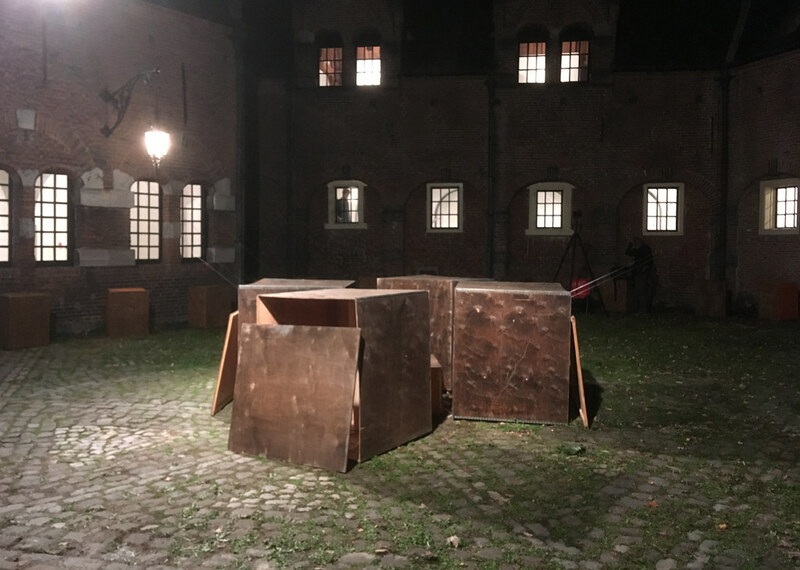 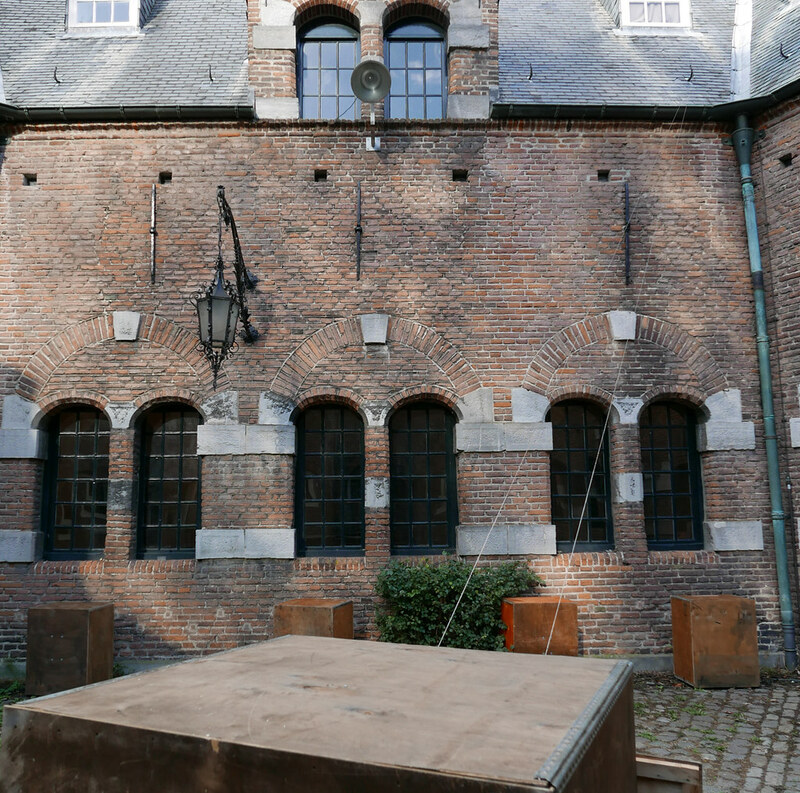 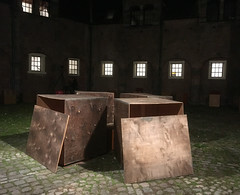 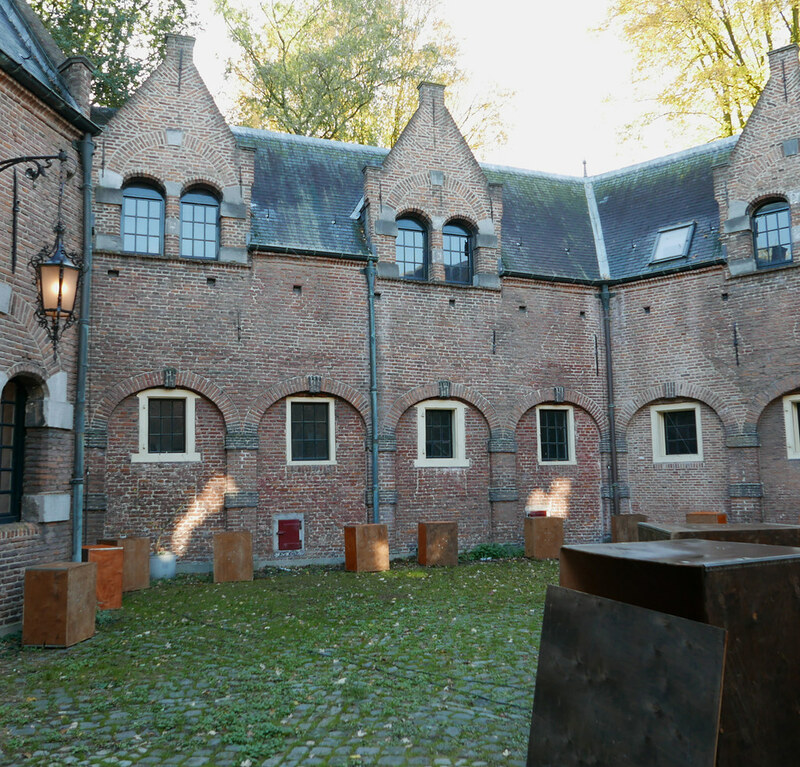 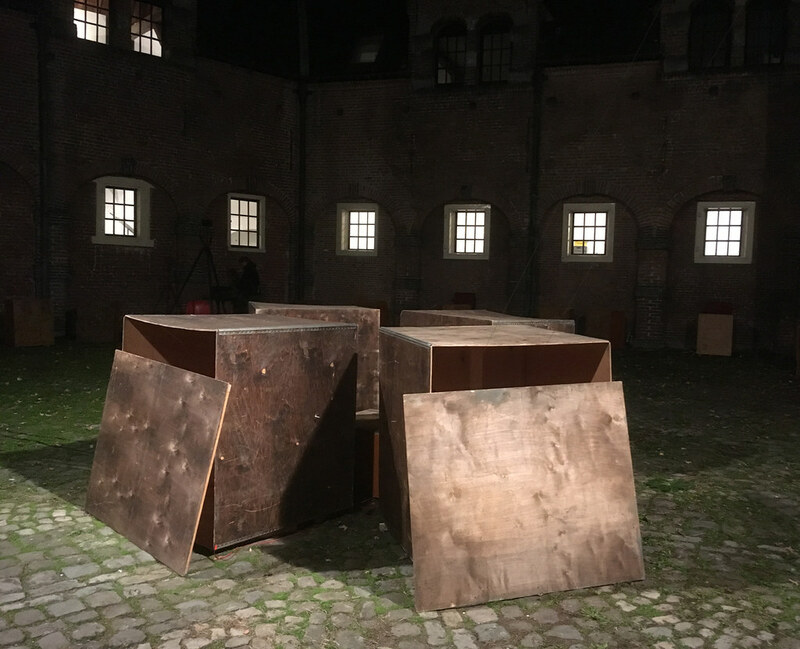 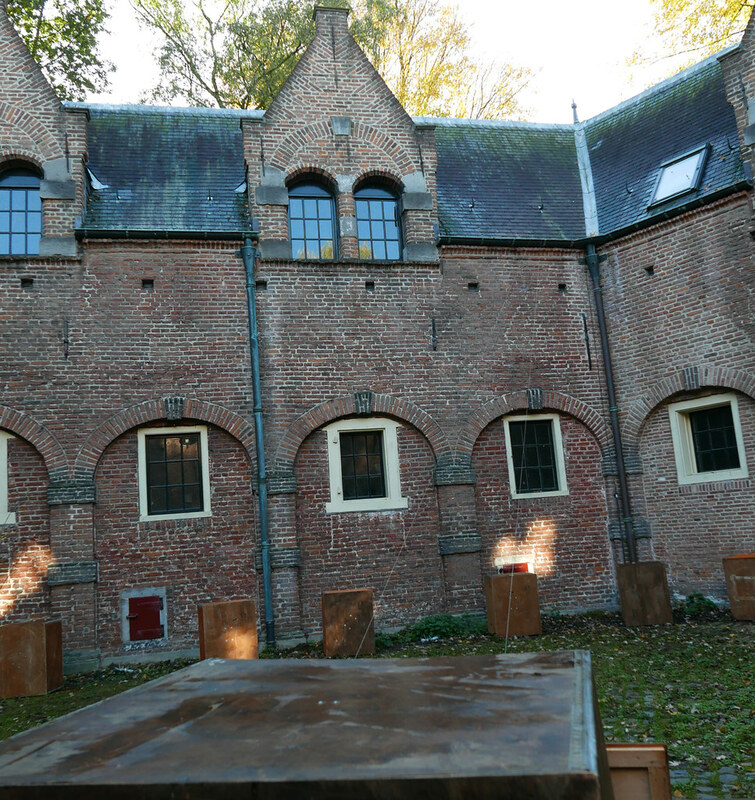 The rooms of the 17th century ammunition deposit in Den Bosch come to life with inventions by contemporary artists working with sound, light, movement and space. 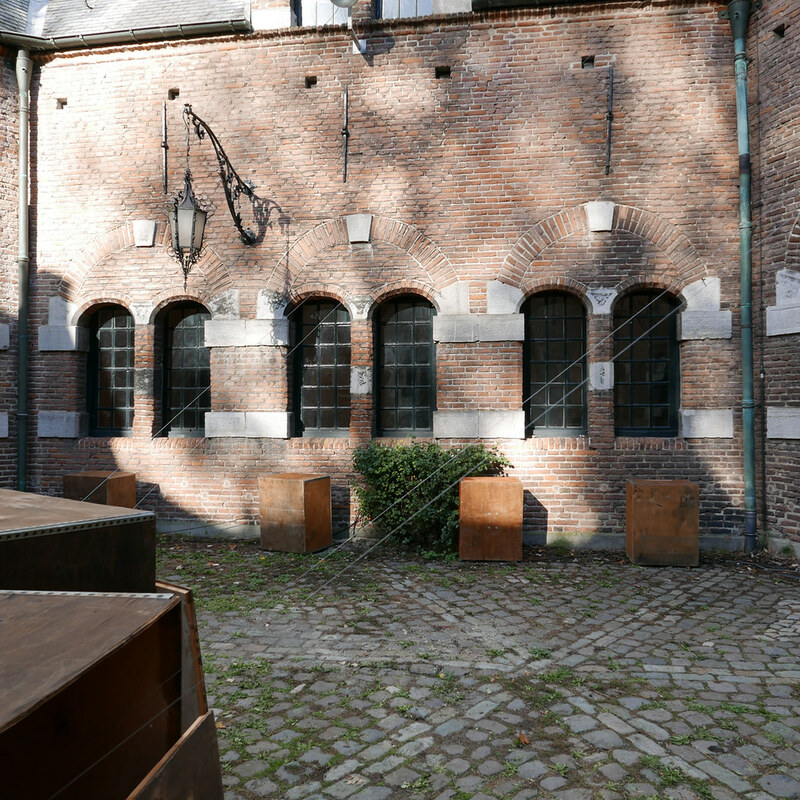 Visitors are invited to take a tour through the building which promises to expand how we can imagine music. Matteo Marangoni of the sound art collective iii has invited 5 artists with diverse backgrounds to create 5 autonomous sound installations that will inhabit the rooms of the former military building. Five different works exploring acoustic properties and musical potentials hidden within simple materials and found objects. 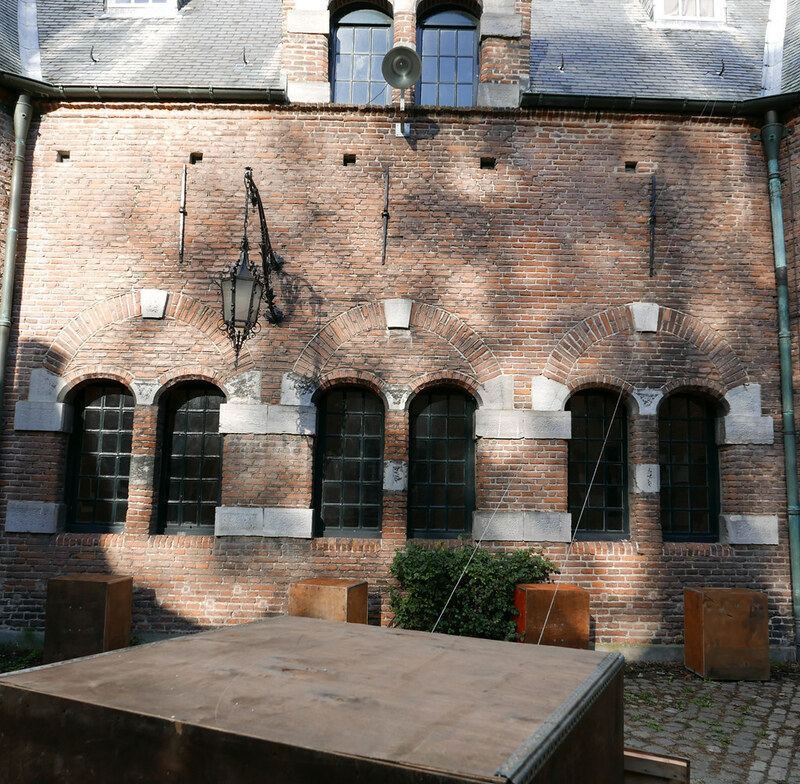 For this installation staalplaat soundsystem build a new DMX 220volt PWM (pulse-width modulation) dimmerbox that controls 23 sanding machines. We had 8 strings attached to the roof , that were played by a motordriven wheels, the edge of the wheel, which acts as a bow on the strings, is coated with rosin.